At the 2013 Chick-fil-A Leadercast John Maxwell talked about the need for simplicity in leadership and the steps to get to the place where we can simply lead (simply). In the framework he presented, it’s important to understand that simple does not mean shallow or meaningless any more than complex means more correct or actionable. In fact, simplicity is found by starting with the simplistic and traveling through the complex to find the simple. 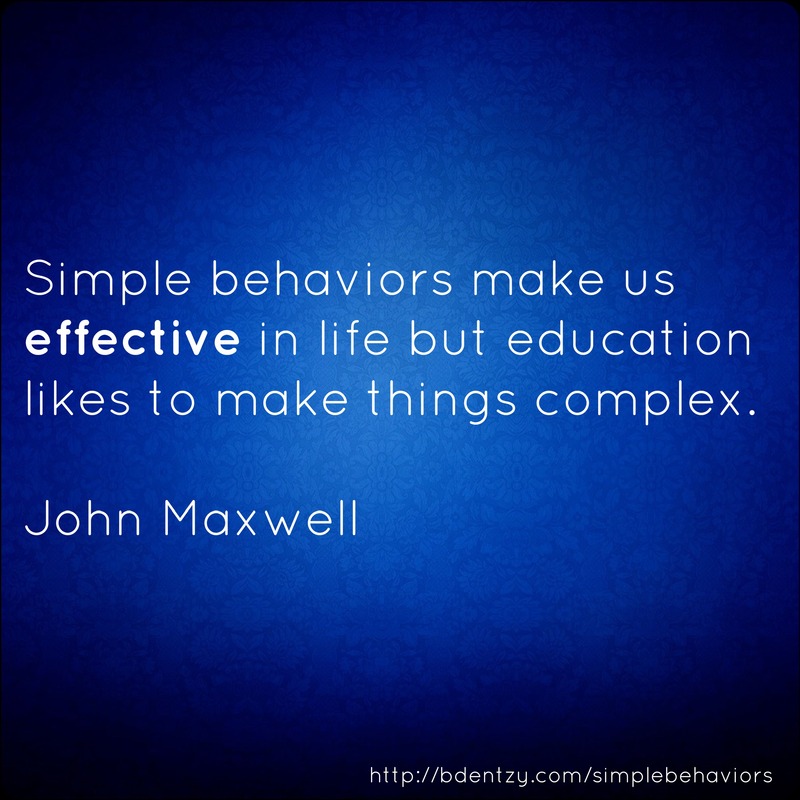 Simple behaviors make us effective in life but education likes to make things complex. This kind of journey is far from simple – it’s often difficult and mentally taxing as we as questions, examine assumptions, and go through the creative process of uncovering the simple truths found buried in complexity or glossed over by the simplistic – but it’s necessary to arrive at a place of what is both deep and simple. Of course, I can’t answer those questions for you. Honestly, I can barely answer them for myself sometimes. But I keep asking because I want to find that place of centered simplicity as a person and as a leader. That place where clarity is astounding, purpose is deeply moving, and action flows naturally from the Center.